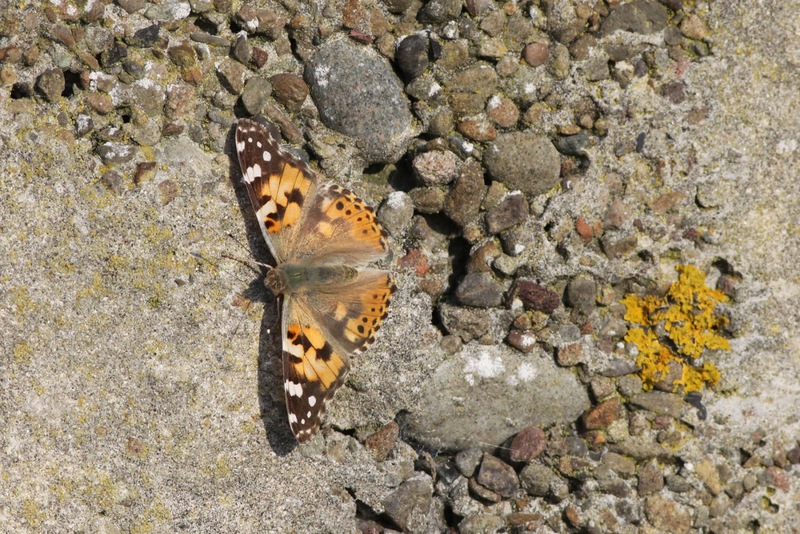 A Painted Lady at Shirva was the first butterfly of the year, with Silver-y and several Diamond-back Moths also seen. The birding highlight was a fine male Rustic Bunting found by the Hill Dyke, although it proved rather elusive and only showed to a few lucky folk. 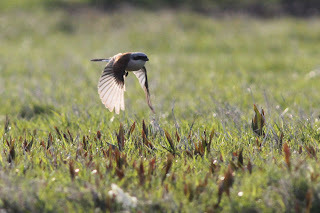 A few more migrants were around and there were counts of three Red-backed Shrikes (including a new male at Midway), and three Bluethroats (including a new male at Haa and a female at Burkle). 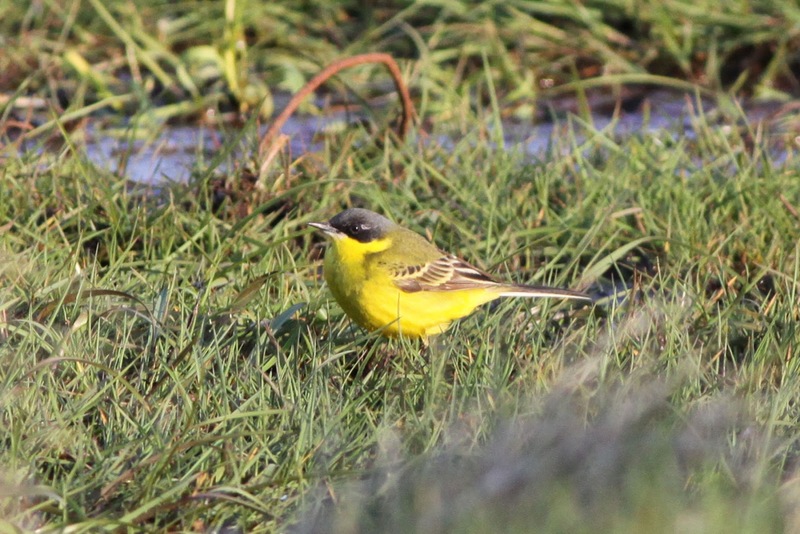 Most common migrants showed a slight increase in numbers (with 43 Tree Pipits for example) and scarcities still present included the Ortolan, Marsh Warbler, Wryneck, Waxwing, 5 Grey-headed Wagtails and Black Redstart. 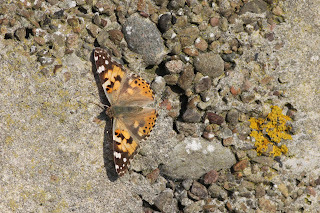 A Wood Sandpiper on Da Water could have been the bird from two days ago, whilst 14 Whimbrel were logged in what has been a good spring for them and two Long-tailed Ducks were in Furse. A fine male Grey-headed Wagtail. 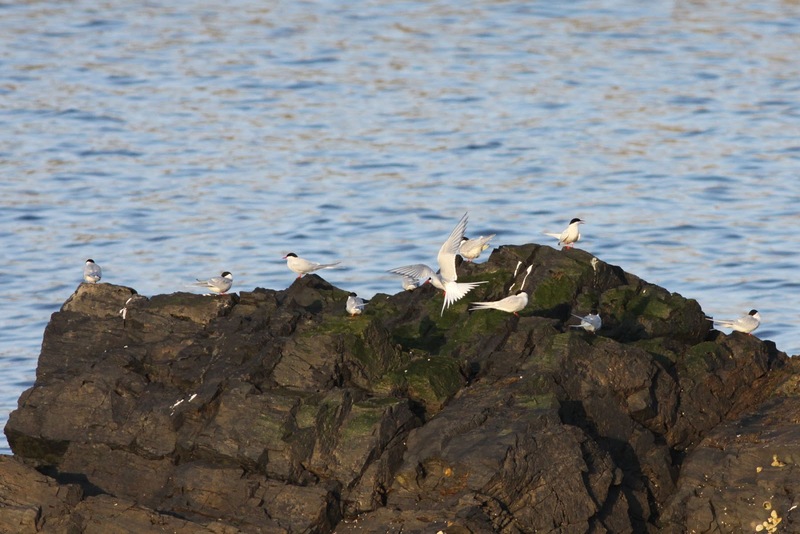 The first Gannet chick was seen at Guidicum, but other seabirds are still noticeably not getting down to breeding, although at least 65 Arctic Terns were present by the evening. The pleasant sound of a Tirrick flock filled the calm air of South Harbour as birds came into roost. Today sees more fog, which could be set to linger, and the day has started with a somewhat mixed serenade of a fine singing Blackbird (which has been holding territory at the Obs for a week or so now, raising hopes of a repeat of 2011’s successful breeding) and a teething baby (what a way to start your first birthday!). With new birds seemingly arriving yesterday afternoon, there’ll hopefully by a few more sightings today and the fog may at least have kept the Rustic Bunting around, so hopefully that may prove more cooperative today. The Red-backed Shrike at Midway wasn't found until the evening, raising hopes of more birds to be discovered today.